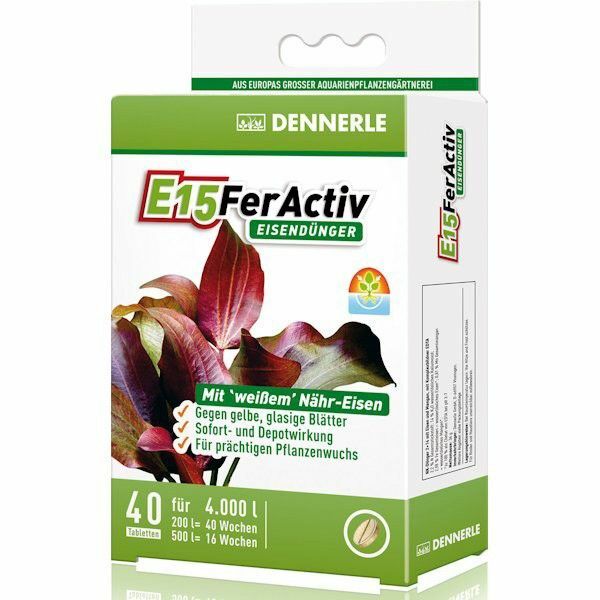 E15 FerActiv iron fertilizer provides all aquarium plants with divalent nutrient iron that they can use immediately, thereby ensuring a beautiful, fresh green colour. Symptoms of deficiency such as yellow, glassy leaves are thereby virtually completely cured, while young leaves can once again display a rich, green colour. Iron is of crucial importance for all aquarium plants. It is needed for generating the all-important chlorophyll. Without chlorophyll, the plant cannot photosynthesize. 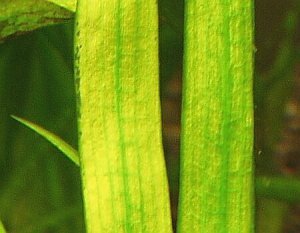 The effects of iron deficiency are immediately apparent: the young leaves appear pale and yellowish (iron-induced chlorosis). Please note: plants can only absorb divalent "white" iron. This is unfortunately not stable in an aquarium, and is quickly oxidised to become ineffective trivalent "brown" iron. Tap water contains virtually no iron. Aquarium plants are therefore reliant upon regular iron fertilization.